Rebecca Owl Morgan, Elder Equity Project Coordinator, will manage the Your Money, Your Goals Training for participating organizations through NICOA. The Consumer Financial Protection Bureau (CFPB) recently awarded 30 organizations selected from the across the country to join the Your Money, Your Goals cohort. The new cohort includes federal, state, and local government agencies, organizations working in native communities, social services, legal aid, faith-based, and worker organizations, as well as organizations serving people with disabilities. The cohort participants will receive 6-months of training and technical assistance on how to use the Your Money, Your Goals financial empowerment materials to train community organizations staff serving individuals of highest need, including those in remote and hard to reach locations. The National Indian Council on Aging (NICOA) is honored to be part of the 2017 Your Money, Your Goals cohort. NICOA is a national non-profit organization whose mission is to advocate for improved comprehensive health, social services, and economic wellbeing for American Indian and Alaska Native Elders. NICOA plans to leverage its participation in the cohort by using the Your Money, Your Goals toolkit training to improve impact and positive outcomes for American Indian and Alaska Native elders, their families, and communities. 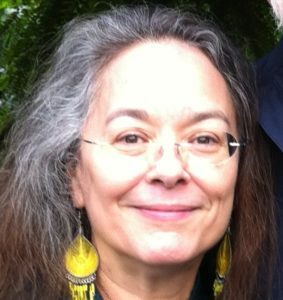 NICOA will deliver the Your Money, Your Goals: Focus on Native Communities guide in a ‘train-the-trainer’ format, with the goal of developing an ongoing, sustainable training program. This guide includes information for users about the cultural and emotional influences on financial decision making within Indian country and the important considerations in Native communities where traditional community values may seem to conflict with some approaches to financial management. Invitations will be sent by NICOA to front line staff from entities, including the Senior Community Service Employment Program (SCSEP), urban Indian, veteran, and Indian youth organizations, Title VI directors, and diverse elder advocacy groups. The 2017 Your Money, Your Goals cohort includes several large umbrella organizations that will allow CFPB to work with nearly 140 sites all around the country. With this reach, the cohort will bring Your Money, Your Goals trainings to communities in 38 states and territories. 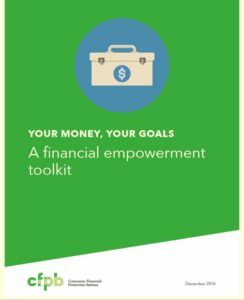 The Your Money, Your Goals toolkit and training gives organization’s front line staff and volunteers the resources they need to help people they serve set goals, choose financial products, and build skills in managing money, credit, and debt. For more information or to enquire about NICOA’s upcoming Your Money, your Goals trainings, please contact Rebecca Owl Morgan, NICOA Elder Equity Project Coordinator at 505-292-2001 ext. 28.